For over 50 years, the Gibson Les Paul has been one of the most iconic instruments in history. A signature in the rock world, the Les Paul is played by some of rock ‘n’ rolls most influential guitarists including Jimmy Page (Led Zeppelin), Joe Perry (Aerosmith), Slash (ex-Guns ‘N Roses, ex-Velvet Revolver), Joe Bonamassa, Zakk Wylde (Black Label Society, ex-Ozzy Osbourne), Jeff Beck, Peter Frampton, Billy Gibbons (ZZ Top), Pete Townshend (The Who), and many, many others. 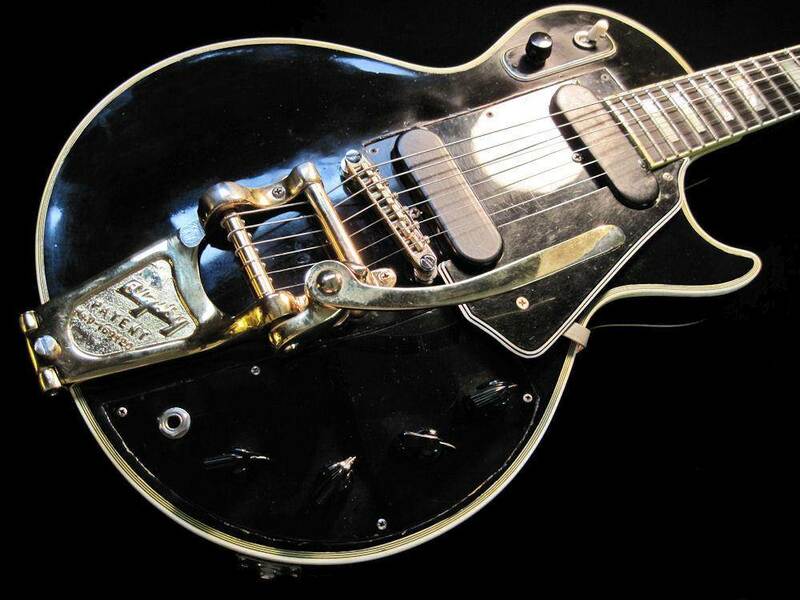 Now, the original 1954 Les Paul prototype – the “Black Beauty” – is set to go up for auction on February 19 at the Arader Galleries via Guernsey’s Auction House. The guitar was designed by Les Paul himself. Paul owned the instrument from 1954 to 1976. He used the guitar in concert, in the studio, and on the famous Les Paul and Mary Ford Show. He then gave the guitar to his good friend, luthier Tom Doyle. The great Les Paul passed away in 2009 at the age of 94. Doyle is sending the guitar to auction from his personal collection, along with “Dark Eyes” – the prototype of Chet Atkins’ signature Gretsch model. Tagged 1954 les pail, arader galleries, auction, beauty, billy gibbons, black, black beauty, black label society, chet atkins, gibson, gretsch, guernsey, guernsey's, guitar, Guns N' Roses, jeff beck, jimmy page, joe bonamassa, Joe Perry, Led Zeppelin, les, les paul, les paul auction, les paul prototype, paul, pete townshend, Peter Frampton, Slash, The Who, tom doyle, velvet revolver, Zakk Wylde, zz top.